Echoing music booms from towering speakers as flashing lights gleam off gems on sparkling dresses. Bodies shuffle on the dance floor, and an atmosphere of fun descends onto the venue. Welcome to Prom Night! Hours of preparation build up to this moment, with ties being tied and makeup being carefully applied. For many, Prom Night stands as the high point of high school. But the days when prom is expected to be an unforgettable night shared between two people is mostly a thing of the past. At today’s prom, the perfect blend of tradition and pop culture, the night of dressing up and dancing is a blast for all students — and a date is optional. 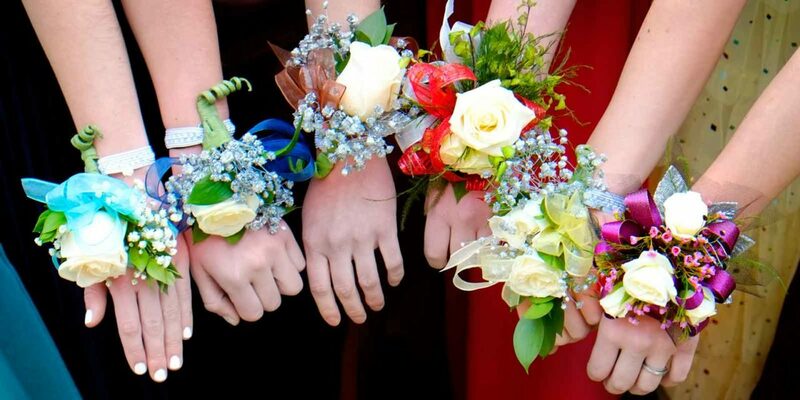 Despite these changes, prom remains a high school highlight, but the event has become more than just dancing, and friends who go to prom together can enjoy the fun as much as the couples. “The students love the photo booth. They can go in as many times as they want and be silly,” said Lea Nappier, school counselor at Manchester Valley and the Class of 2018 adviser. “We also have dinner, desserts and a slushie bar. The dinner tables flank the sides of the room so students have a place to hang out, talk, and eat.” Nappier estimates that of the anticipated 350 to 500 prom attendees, half of them go with groups of friends. Manchester Valley health teacher Shelly Brezicki offers dance lessons prior to prom so students have more confidence as they try out a variety of dance moves. One of the special things about prom is the sense of unity and friendship it creates, bringing students of all backgrounds and interests together. Whether it’s the captain of the football team, a computer fanatic, or a theater kid, Prom Night inspires them all to go out on a limb and get together for a fun night. And the fun doesn’t end after the special night. Fodder for prom-related “I remember when …” stories is plentiful. And after the final song plays and the final flash of light dances across the venue, the festivities continue. “After-prom” events keep the party going, and help ensure that students celebrate safely after the celebration. Students who attend schools that don’t offer post-prom events often create their own plans, such partying all night, then watching the sunrise. “I went to McDonald’s with my friend to get ice cream, and then we went and played with puppies in our prom dresses,” Morrison said. “You should go to prom at least once — and see what it is like,” Satori said.